How to plan for a career in Mechatronics Technology? Summary: The applications of Mechatronics are extensive. Be it contact-free magnetic bearings, digitally controlled combustion engines, robots, automated guided vehicles or other machine tools, mechatronics is omnipresent. The applications are not just limited to development in fields of engineering. Rather, they range from our daily home appliances to medical fields. One has to develop skills on mechatronics technology as early as possible to develop an exciting career. Mechatronics is already a huge industry, and is likely to remain important to the economy for decades to come. By training in mechatronics concepts, you can position yourself for a lucrative, long-lasting career. Now, with new technologies people also get suspicious. Does it have all the advantages that everyone is claiming? What do mechatronics engineers do? What jobs do they end up with? This article will answer all the above queries and the ones you have as well. As a field, mechatronics focuses on bringing together several aspects of scientific applications. Mainly, Mechanical engineering, Electrical engineering and Computer sciences engineering. Mechatronics technology even includes robotics, electronics, telecommunication and various other branches of engineering for effective functioning. It blends mechanical skills with electronic design. The term mechatronics was coined by senior engineer Tetsura Mori in the year 1969. After the 1980s, the term started gaining popularity because of its useful features. Earlier, this technology was based on some electrical and electronic computers only. But after 1980s, the use of computer technology was integrated which marked the better and easier use of this rather recent technology. What are some applications of Mechatronics Technology? The applications of Mechatronics are extensive. Be it contact-free magnetic bearings, digitally controlled combustion engines, robots, automated guided vehicles or other machine tools, mechatronics is omnipresent. The applications are not just limited to development in fields of engineering. Rather, they range from our daily home appliances to medical fields. As Mechatronics is an interdisciplinary subject, your knowledge doesn’t get limited to just one branch of engineering. It gives you the platform to gain knowledge on multiple branches. Internet connected “smart” technology has become integrated with almost every aspect of our daily life. Mechatronics intertwined with IoT is responsible for all the progress related to that. Mechatronics helps improve efficiency. Less wiring and connectors, fewer components and sensors, less amount of labour, reduced time spent in setup and maintenance and maximized operational uptime are some of the examples. Increasing efficiency with comparatively lesser number of components and wires, the amount of money spent is also significantly reduced. Mechatronics is used in home appliances such as washing machines. Mechatronics plays a colossal in the recent home automation technologies. It is used in automatic air conditioning systems, security system, automatic door systems. It is also used in pressure, heat and position control systems. Mechatronics is also used in intelligent measuring devices like calibration devices, measuring and testing of sensors. Mechatronics is also used effectively in the medical field as magnetic resonance, ultrasonic probes, arthroscopic devices. What is the scope of Mechatronics? With every passing minute, the technology all around us is advancing. Everything is getting more efficient and intelligent and Mechatronics plays a huge role in it. Mechatronics brings out more functionality to systems and increases reliability. Mechatronics is already integral to the modern global economy. According to a study by the National Instruments Corporation, machine manufacturers all over the world are building machines that are increasingly more complex. And yet these companies have lesser time to market those machines. On account of all this pressure, most design companies and manufacturers are relying extensively on mechatronics. According to the Aberdeen Group, the most successful companies are the ones that use mechatronics. After looking at all the aforementioned reasons, one can safely say that Mechatronics is a field whose future is looking brighter as the days pass. The career options after pursuing Mechatronics is vast. A Mechatronics engineer unites the principles of engineering disciplines namely mechanics, electronics, and computing to generate a simpler, more economical and reliable system. Mechatronics technicians usually solve technical problems and maintain automated mechanical equipment with their engineering knowledge. The job also includes inspecting, troubleshooting and repairing electrical components. What are the skills needed to work in Mechatronics domain? To pursue a career on Mechatronics, you need to be well versed with the disciplines of mechanical, electrical and computational engineering. To get a job you need to develop hands-on skills on mechatronics technology. And what better way to get skilled in mechatronics than building practical projects. You need to have a vast knowledge of machines and tools, including their designs, uses, repair, and maintenance, circuit boards, processors, chips, electronic equipment, and computer hardware and software, including applications and programming. Being thorough on the theoretical aspects of Mechatronics isn’t nearly enough. You need to have real life experiences of its applications. You need to have complex problem solving skills. Identifying problems and solving them as quickly and efficiently is colossally important. How to plan a career in Mechatronics? Before digging deeper into this subject, you need to be sure about your interests. Only and only if you’re genuinely interested in a certain subject, should you pursue a career based on it. Don’t do it because it’s trendy or because your parents want you to. Pursue your own dream. Plan and develop new projects: Building new projects is the best way to get a head start. Not only does this make you experienced, it’s a great ornament for your resume. Brainstorm new ideas: Be curious, creative and passionate. Nothing attracts an employer more than the hunger for learning new things. Build prototypes: Get in contact with a mechatronics engineer, assist him/her while building a prototype. Perform tests and troubleshoots. Create new models: As already mentioned, you need to have an insatiable thirst for technology and designing. Draw up plans and designs. Improve. The most important of the aforementioned points is undoubtedly building projects. Imagine how impressed your interviewers will be when they learn you’ve build various projects beforehand. Here at Skyfi Labs, we can provide you with a huge variety of online courses and projects that you can build and get that very important head start straightaway! You will learn about mechanical design, implementation, sensing and control of bipeds, concepts and applications of Servo Motors and so much more. 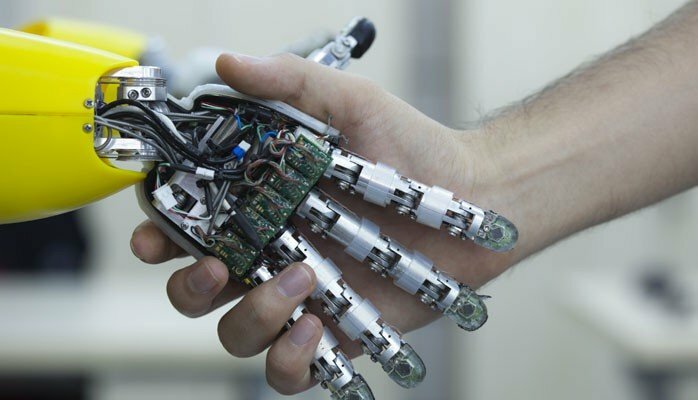 Robotics currently is being implemented in all the industries, and why wouldn't it be? Robots and machines can carry out tasks with so much more efficiency than humans can ever think of achieving. While building this project, you will enhance your knowledge on Arduino architecture and learn more about the structure of Arduino programming. You will also learn about Bluetooth communication and use the concepts learnt to control the robotic arm with an Android App. You will learn Forward & Inverse Kinematics in Robots, DH Parameters, Formulation of Kinematics of a 3 DoF Robotic Arm, Joint Control & Trajectory Planning of a Robotic Arm, Servo Motors and their applications, Bluetooth applications and Interfacing Bluetooth Module to Arduino Uno and a lot more. If you’re interested in robotics this project is apt for you. 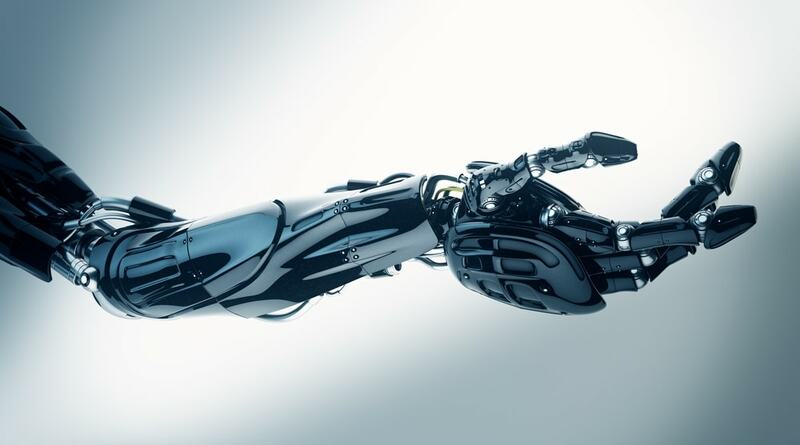 Here at Skyfi labs, we can provide you with the best online course using which you can build a robotic arm that will have freedom of 3 degrees and you can control the arm by using your mobile phone. Animatronics is currently taking the world by a storm with its various applications. Animatronic based robots to imitate human and animal activities are widely used in industries of today and practiced in moviemaking to create imaginary life-like creatures. Animatronics technology makes it possible to replicate a living being's action and facial expressions. In this project you will be introduced to Animatronics and its various real time applications, development and control techniques involved in designing Animatronic structures. You will be exposed to flex sensors, microcontroller programming, servo motors and learn how to design, fabricate, assemble and control your robotic hand. You will also increase your knowledge on Arduino programming and its concepts. If you’re interested in animatronics, this particular project is made just for you! You will also understand the electronic circuitry involved in Hexapod and gain experience of working with servo motors, embedded systems & microcontroller programming. With the robotics technology integrating in almost all the industries, one of the latest advancements is the vision guided systems. These vision guided robots are capable of working autonomously with zero human interaction. Firefighting robots are capable of detecting the fire and extinguishing it. In this course, you will learn to build your very own firefighting robot that uses digital IR sensors to detect the fire and move in that direction to put it off using a DC fan. You will also learn about robot's locomotion, vision guided systems, working of DC motors & IR sensors, Arduino architecture and its programming. Swarm Robotics deals with the Artificial Swarm Intelligence and involves multiple Robots that communicate and coordinate among themselves to complete a mission. The swarm robots communicate with each other wirelessly and take decisions. If the name intimidates you, don’t worry. The course covers content from very basics. So you can build this without much prior knowledge in robotics. In this course, you will learn to build autonomous swarm robots enabled with ‘master-slave communication’ i.e., the master robot controls the slave robot while performing its own task and the slave robot functions based on the signal received from the master robot. Both are autonomous. By building this project you will learn about swarm communication, locomotion of robots, Arduino Architecture and its programming, and working of DC motors that act as actuators. In this mechatronics project you will develop a tri-wheel configuration that is capable of climbing stairs on its own. The transporter is functioned by four sets of wheels – two tri wheels in the front and two normal circular wheels at the rear. The tri-wheel setup will have a system of three wheels sandwiched between two Y fames. This setup allows two kinds of motions, first about the axis through the centre of each of the wheels and second will be the rotatory motion about the axis of the tri-wheel system itself. This provides enough flexibility for the robot to climb steps easily on its own. The use of this mechanism in automobile industries will mark the beginning of a new era as it can pave the way for manufacturing more automobiles that can be used on any terrain. This mechatronics project focuses on building an electronic device that can be used to mix paints to develop new and different shades. Mixing can be a very tedious job as there are millions of variations of colours out there and above that, getting the proportions correct without any discrepancies in a limited time is a humongous and nearly impossible task for human labours. Therefore, industries need a device that can perform this task effortlessly and without any errors. This electronic device will surely assist in such cases to achieve the task with high efficiency and accuracy. The project will integrate a microcontroller, LCD, keypad, relay driver circuits, relays, pipe lines and solenoid valves. Once the desired composition is entered in the keypad, the information is processed by the microcontroller and it sends the signal to the relay driver circuits. This then actuates the pipelines and delivers the right amount of colours to the mixture tank. The mechanical setup placed on the mixture tank actuates and mixes the colour without any discrepancies in a short period of time. We at Skyfi Labs have developed an innovative learning methodology through which you can learn latest technologies like mechatronics by building projects hands-on right from your home. With the hardware kits delivered to your doorstep and 1-1 technical assistance provided, developing great expertise on latest technologies will never be tough for you.